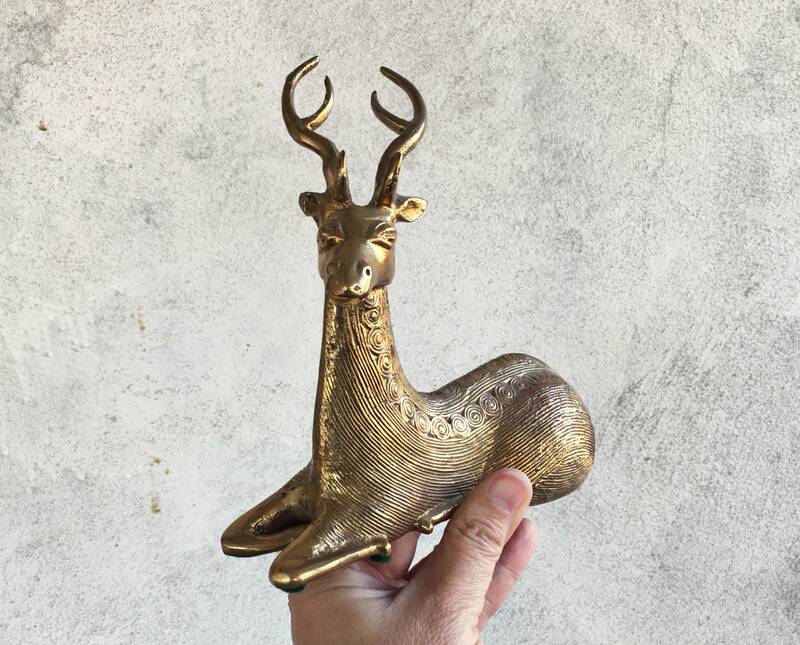 This brass stag (buck, elk) or deer with antlers is fairly large and has wonderful grace and elegance. 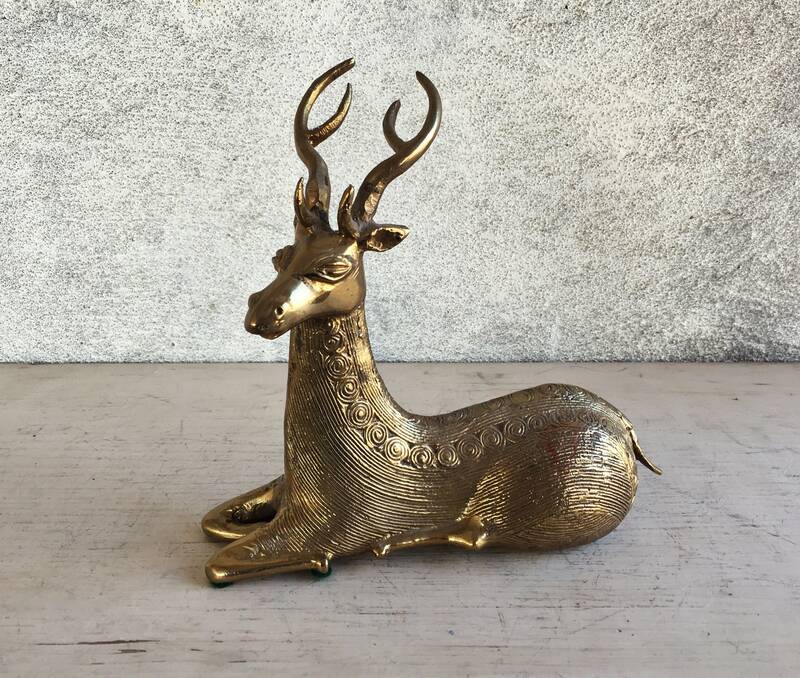 Large enough to serve as a table centerpiece with garland and other trimmings for the holidays, the deer sits with head held high. 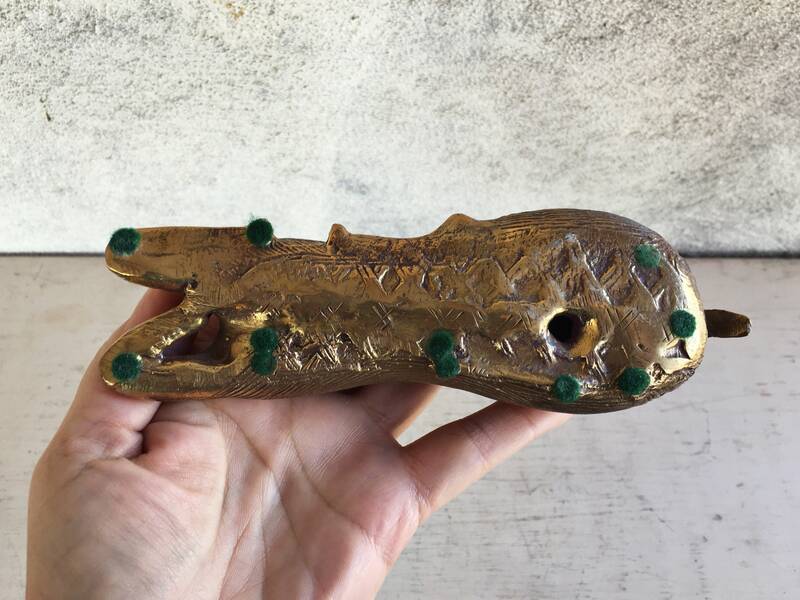 The piece is from India and made with wax casting called Dhokra (or Dokra), which is a laborious process that produces gorgeous textures, in this case lines and circles on the sides and top of the piece. Dhokra is a centuries old process. I've seen newer pieces that have been antiqued to look old. 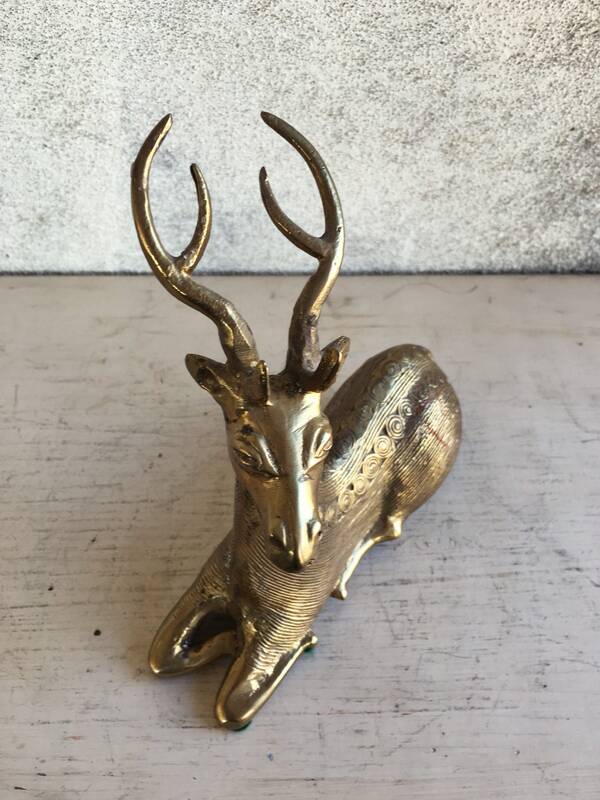 This piece came from the estate of a world traveler and is said to have been purchased in the 1980s, but may have been older as it is much heavier and more well made than newer pieces we've seen. Also, that smooth head and exotic almond eyes give the piece has a slight Midcentury look, yet the texture is ethnic/bohemian. Would look great in a home with those elements, as well as in a Jungalow or organic style home with lots of plants and baskets. 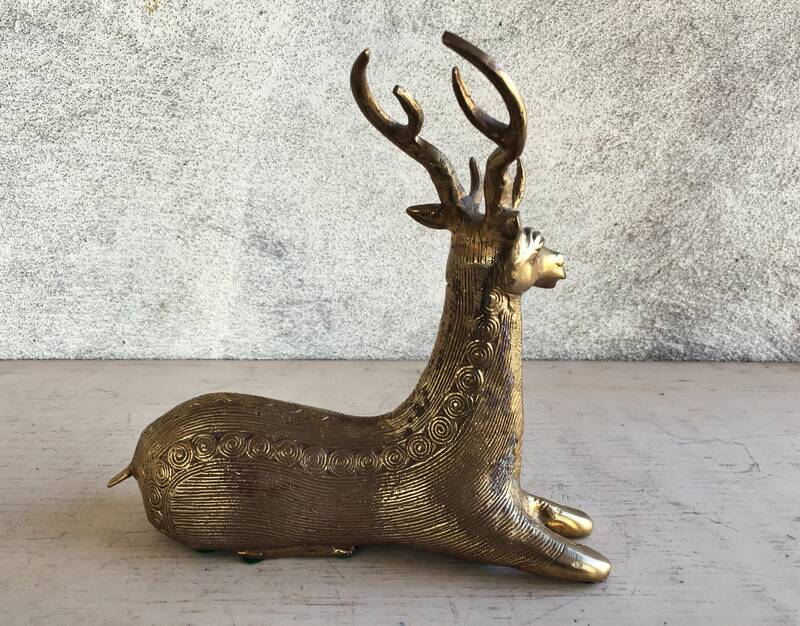 The stag measures just under 7" wide by just under 7" tall and a bit over 2" deep. Still has the green felt small pads on the bottom to keep it from scratching whatever surface onto which it's placed.